A few weeks ago I shared my experience with a little (but amazing) company called NC Made. Founder Nicole Bogas packs beautiful gift boxes filled with products from where she lives, North Carolina. She chooses products for their quality, flavor + design--so her company instantly became a favorite of mine. 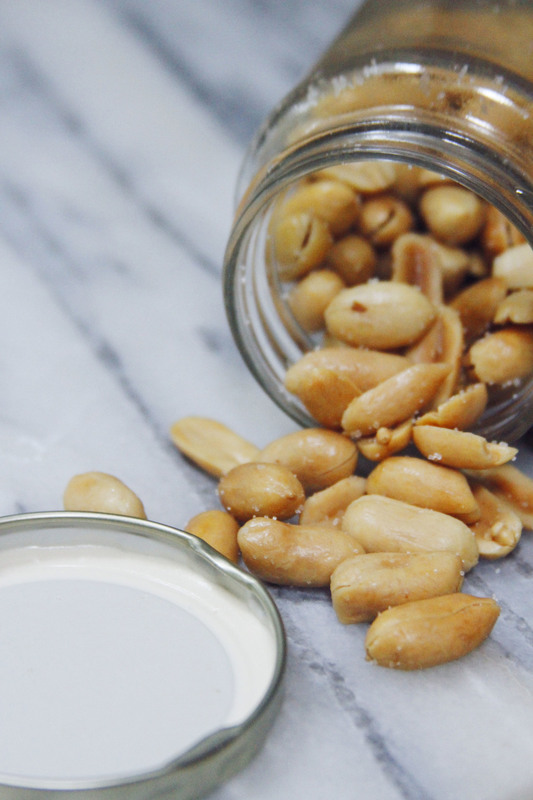 I bought the Cross Creek Box which included salty, blister-fried peanuts which star in this recipe. Growing up one of my favorite treats to make was chocolate-covered popcorn. You can burn popcorn, you can burn chocolate--but it's the easiest sweet + salty treat to make. When I saw the salty peanuts in the box, I knew exactly how I would use them. I wanted to share this one today because even if you're slammed with clients you deserve a sweet + salty treat. It's a good thing this one is ready is a few minutes! Start by popping your popcorn. Quick tip, set the popcorn to the time on the package, but stop once you stop hearing pops. 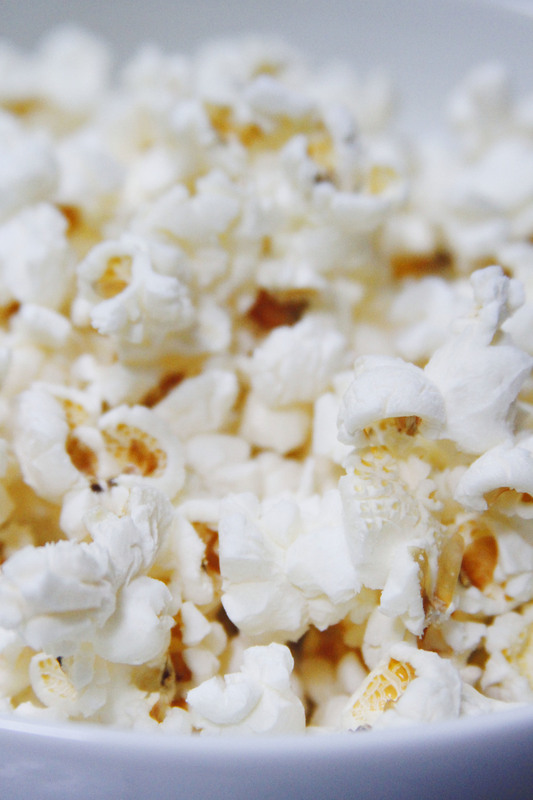 Pour the popped popcorn onto a foil-lined baking sheet. Melt the chocolate in a microwave-safe dish. Pour the melted chocolate over the popcorn a la Jackson Pollock. Toss the peanuts evenly over the chocolatey popcorn. Toss to combine. Enjoy fresh (it'll be messy) or place in the fridge for half an hour to firm.